We are all looking for ways to save money in this day and age, especially if you are a homeowner. Homes and their regular upkeep and maintenance can easily drain your wallet. 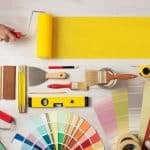 In this busy world, there can still be ways to DIY that doesn’t consume every second of your free time but still saves thousands on home maintenance. Stay tuned because here are a few of the tricks that I have been using for years to help maintain my house, without bleeding myself dry. I have original hardwoods in my house that weren’t discovered until I pulled back the hideous carpet that was there when I purchased my house 15 years ago. They weren’t beautiful when I exposed them but they are now. I had them sanded and finished, which is usually with polyurethane. I constantly get comments on how fantastic they look and my secret is vinegar and shoes. What I mean by that is that we are a no shoes house. I make everybody take off their shoes when they come inside because I don’t want the dirt everywhere. That does two things. It keeps me from having to clean as often and it keeps dirt and debris from constantly grinding into my floors. If your friends don’t like to take off their shoes, offer them guest slippers or inexpensive plastic clogs to wear in the house. Repair man? Keep a box of paper boot covers so they can do their work, but you can protect your floor. With regard to vinegar, I clean the floors with it. It is the absolute best cleaners out there and so cheap! I can get a 64 ounce jug at Target for less than $2. I put about 1/5 of it in my kitchen sink with hot water and mop away. Vinegar is not only very cost effective but it won’t strip the polyurethane off the floors either, which saves me tons of money in the long run since I won’t have to pay to get them refinished. 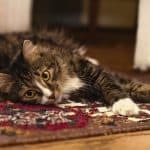 Do you have old carpets in your house? Pull up a corner and see what is underneath. If you have hardwood floors hiding under there, consider pulling up the carpets and restoring the floors. If they are in rough shape, paint them with floor and deck paint, or roll out an area rug that can easily be cleaned. Instead of replacing ugly linoleum, you could increase its lifespan by painting the floor or just covering it with an inexpensive rug. Don’t worry if it isn’t a perfect result – it will spiff up the look, make it seem cleaner and more modern, and you can start saving coins for a replacement down the road. Speaking of vinegar, I use it for sinks also. Along with one of my other favorites; baking soda! Anytime a drain is running slowly, I know that it is time to bust out these two guys. In bathroom sinks, I unscrew the drain stopper for full access to the pipes, but in the kitchen that is not necessary. I pour a decent amount of baking soda down the drain and then add the vinegar to create a chemical reaction. This doesn’t explode like you would think but has more of a fizzy bubbling action. My kids love it when I do this because they say it looks like a volcano in the sink. Every now and then I decide to wow them and add a drop of food coloring, which they think is pretty cool. Either way though, it keeps my pipes clean and running freely. My other secret weapon to regularly maintain the sinks (and even the tub drain) is a plastic clog grabber and remover. This is a DIY of the plumbing snake that plumbers bring with them, but much cheaper. This little guy has saved me thousands by not having to pay for a plumber because it helps me be proactive. Before I get creative with my baking soda and vinegar mix, I bust out this wonderful tool and run it down the pipes to see if I can grab any excess junk that may be clogging them up. Sometimes I come up with some interesting stuff, usually in the kids bathroom. But between the two different tricks, I have never had to pay a plumber to fix my pipes, saving me hundreds if not thousands over the 15 years. 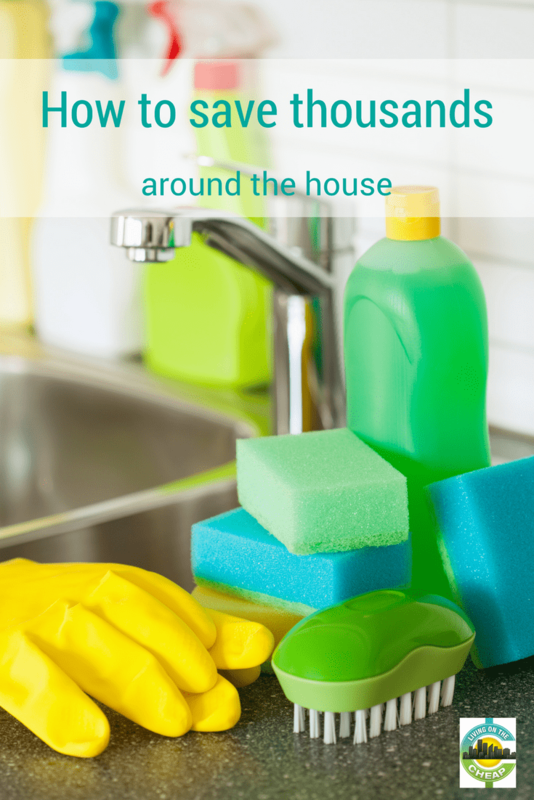 Here are four other must have cleaning products for your home. That silicone line around the edge of your tub and sinks is there for a reason – it keeps water and moisture from getting behind tiles, drywall, or other wall coverings. Water can cause a lot of damage if not controlled, leading to mold and mildew that could cause health problems. Stop big problems and save money by replacing caulk every year, or when it shows signs of wear and tear. Simply pull out the old caulk and clean the area well, dry well, and reapply a new bead of caulk. It takes some practice to make a lovely bead, but the key is to make sure it has good coverage with no cracks or holes. Make sure you use the proper type of caulk for the area. Your toilet gets use every day, but you rarely think about maintenance. 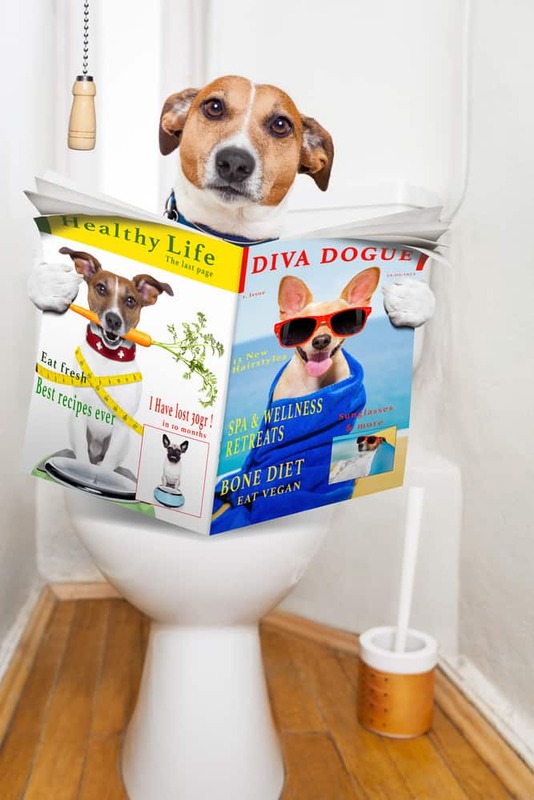 Besides routine cleaning, you should keep on eye on certain parts of the toilet. 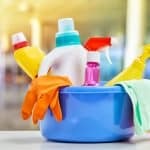 Regular cleaning helps, but certain cleaning products can do more harm than good. Cleaner tablets that you can drop in the tank can damage rubber parts inside the tank. 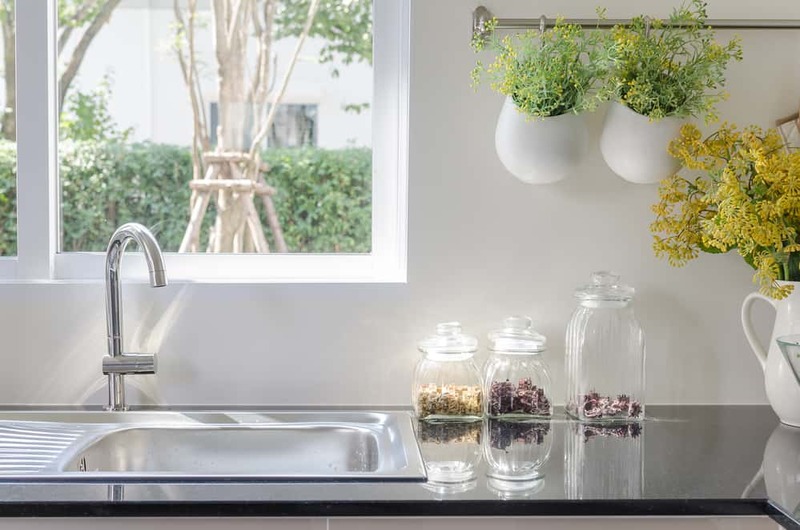 Use a non-toxic in-bowl cleaner during your regular cleaning. Do you hear running water in your toilet? The flapper valve may be damaged or simply offset, allowing up to two gallons of water per minute to run into your toilet. Check to see if you have a leak by adding a few drops of food coloring into the tank. If color appears in the bowl, you have a leak. You can find flapper repair kits in your local hardware store. If you see water leaking from the base of the toilet, your wax seal may need to be replaced. This may seem like a difficult job, but it is not. Follow these directions, or another easy DIY video, and change it yourself, instead of paying a plumber a few hundred dollars to do it. This one can be a doozy, especially if you have any significant amount of yard. I was very excited to have a great fenced in yard after living in apartments for years and I thought it was going to be so great! That was until I realized that I had to take care of it all. One of the best purchases you can make if you have a yard to maintain is a walk behind lawn mower. I realize that it takes longer to mow the lawn with a non-self propelled versus a self propelled lawnmower, but hear me out. It not only costs less per year, and overall, but I use it to pull double duty by making it part of my exercise routine. Thereby, I am cutting out time at the gym because I am in the yard for at least two hours and saving money at the same time. Originally, I purchased my lawnmower for $119 as a recon (reconditioned) at Home Depot and got them to throw in a free replacement blade. That mower lasted me 10 whole years! The big secret with keeping lawnmowers operational for as long as possible is to drain the gas at the end of every season. As long as you do that, check the spark plug, drain and replace the oil and clean out the carburetor, then your mower should work like a champ. A manual push mower is another option, if you have a small yard (or the time and inclination to use it on a larger one). Or you could purchase a smaller, narrower electric lawn mower that saves you the added expense of gas and maintenance on a carburetor. Just plan on mowing more rows. I can tell you that mine had a few idiosyncrasies throughout the years, but I continued to work with it and it was the best mower I have ever had. When I break down the cost, just for the mower itself, it cost around $12 per year. After this mower died, I decided to try a self propelled mower instead and was sorely disappointed! The mower was $269 and died twice in the first season. It had to be replaced with a new one and that one died, was able to be fixed by replacing the engine and then the self propelled action stopped. I had that mower, or the two of them, for four years and just the purchase price cost me $67.25 per year. That doesn’t include the multiple times that I had to load it into my car to take it to get fixed or replaced, or the times that I had to pay somebody to come mow my lawn because my mower was in the shop. If you have an older lawn mower that just doesn’t seem to work well, think about finding a mower repair shop in your area. Usually the problem is fixed with a new spark plug, a carburetor repair, or a new lawn mower blade. The cost of repair is usually much less than buying a new mower. 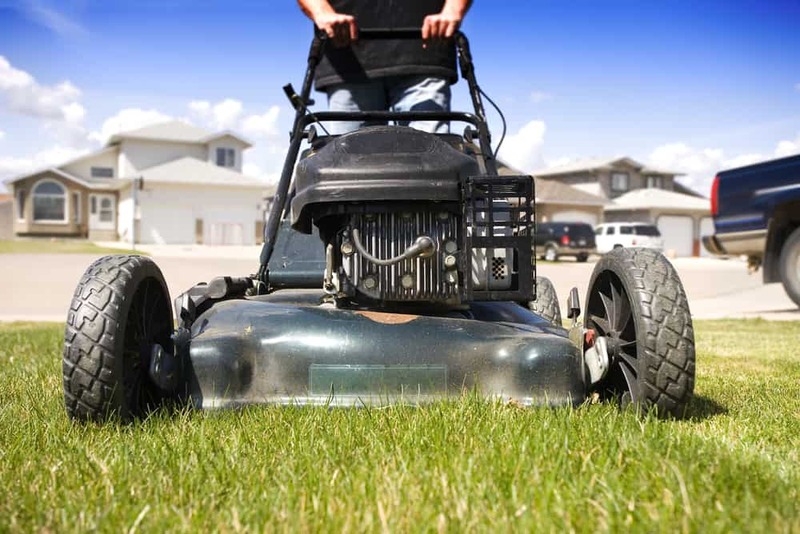 A few minutes spent checking the lawn for rocks, glass, or other items can save you money on lawn mower repairs or other damages caused by flying objects. Keep the kids and pets inside while you are mowing. Wow, those annuals eat up a budget. Instead of looking for petunias or snapdragon bedding plants, head to the perennials section. You can plant, enjoy, and put them to bed over the winter. They’ll pop up full of color at the right time next year, with no added expense. And before you buy, ask friends and neighbors if they have perennials that need to be thinned out. Anyone who has day lilies or other “creeping” perennials in their yards would be happy to share. Instead of buying expensive lawn ornaments, look for castoffs at garage sales or thrift shops. Or make your own. Hanging planters can be made from old buckets or baskets. 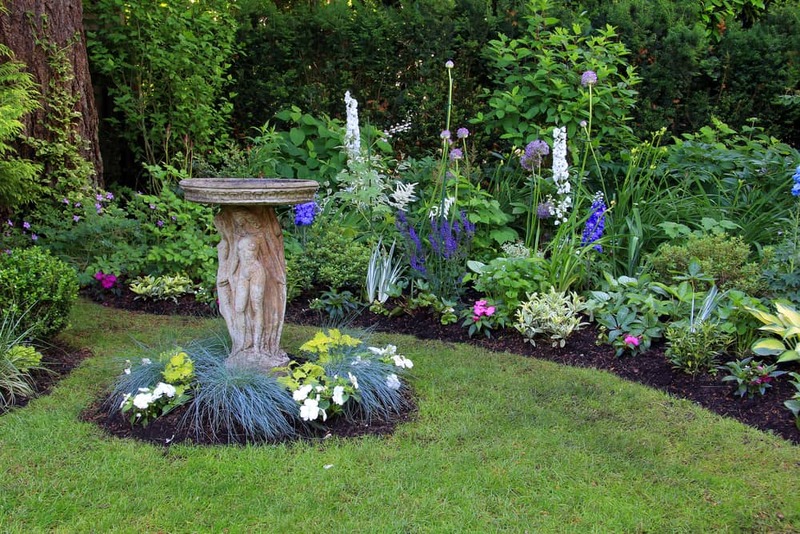 Lay down six or seven overlapping layers of newspaper in the flower beds before adding new mulch. You won’t have to use as much mulch to keep weeds from growing. 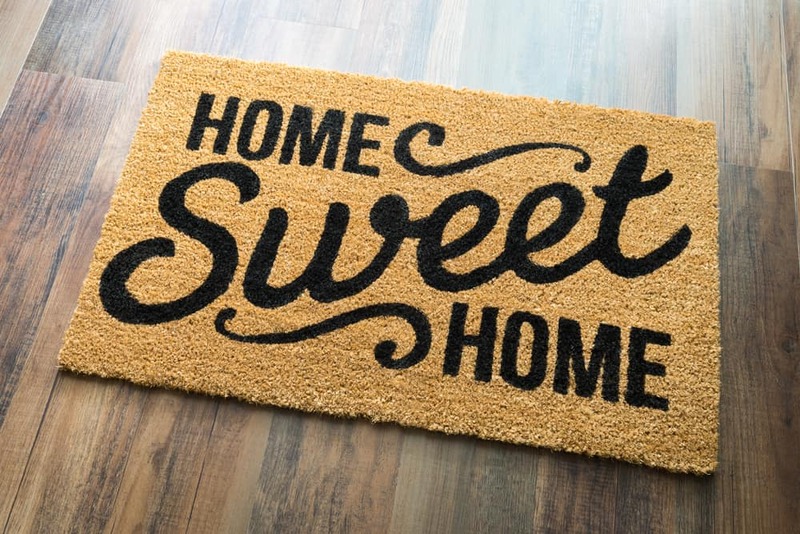 Cardboard works just as well, and if you decided to pull up that old carpet, you might be able to use it as mulch material (as long as it is made from natural materials such as cotton or wool). My rule has been that the more moving parts a product has, the higher the chance that something is going to go wrong and I’ll have to fix it. The simpler the product or machine, the more cost effective it is for me. 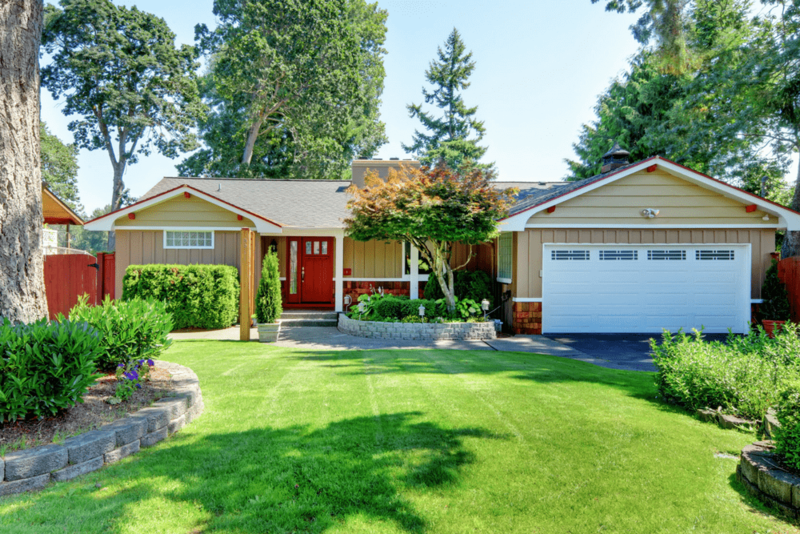 These are quick, simple and easy things to maintain the home and are so much cheaper to implement than purchasing the expensive alternatives. Stick with simple, because it goes so much further and costs you less in the long run. You won’t be disappointed and your wallet will thank you! What are some household tips and tricks that you use to save money while still keeping your house running smoothly?